Many people are familiar with the traditional holiday ballet show, The Nutcracker. Tchaikovsky’s famous ballet is a truly wonderful show of the land of sweets and great music. This is a performance that embodies the holiday spirit to the highest degree and is entertaining for both kids and adults. 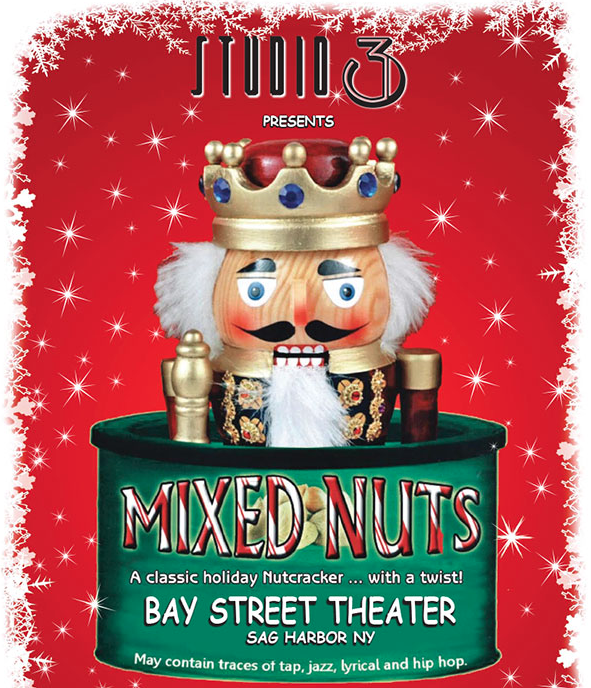 This is the eighth production of Mixed Nuts, and every year has been spectacular. In the past, Studio 3 has incorporated the storylines of Beauty and the Beast, Peter Pan, The Grinch, Great Gatsby, and many other classics into the show. Founded by Diane Shumway, Studio 3 is a dance studio founded located in Bridgehampton. This year, dance teachers Meredith Shumway, Megan Callahan, and Diane Shumway herself have choreographed new twists on the classical dances. They have created an entire storyline featuring Dorothy and Toto’s adventure around the Land of Oz in an effort to get back home. The traditional rat king is now the Wicked Witch of the West, and the Sugar Plum Fairy is now the Queen of Oz. (An older Glinda) They even added characters including the Tinman, the Lion, and the Scarecrow. The more traditional dances, such as “Snow” and “Flowers,” still have their lead “Snow Queen” and “Dewdrop,” but this time there are also things like Poppy Fields! The show even has the Lullaby League (the traditional marzipan dance), the Lollipop Guild, and the Cyclone. If you want to experience this year’s spectacular Christmas event, follow the yellow brick road to Bay Street. The tickets will be available at the door for $25 at the box office one hour prior to the show.